Here you can get all the Android and iOS apps related articles and reviews. 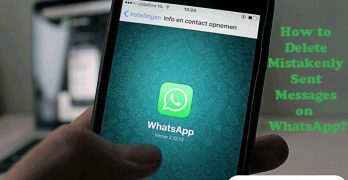 How to Delete Mistakenly Sent Messages on WhatsApp? Have you mistakenly sent a message to your WhatsApp friend or family member? If yes, then now you can delete all those messages which you have sent by mistake within 7-minutes. There is also another condition; the message can be only deleted if the … [Read more...] about How to Delete Mistakenly Sent Messages on WhatsApp? Create a Fancy Colorful Text Status and Show only to Selected Contacts in WhatsApp? Do you want to create a fancy colorful text based "Status" and want to show it to selected contacts of WhatsApp instant messenger? Then it is a good news for you because a Colorful text status feature is now available in WhatsApp. So whenever you … [Read more...] about Create a Fancy Colorful Text Status and Show only to Selected Contacts in WhatsApp? 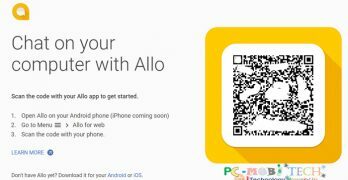 How to Use Official Google Allo Messenger on PC with Chrome Browser. The Google Allo Messenger is a popular Instant messaging app for Android and iOS (iPhone). 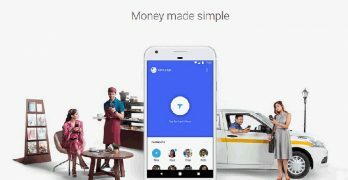 It is made by the well-known company Google, so there is no need to explain more about this messenger. 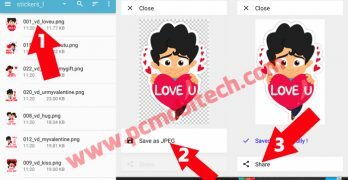 As you know this app is only available for Android and … [Read more...] about How to Use Official Google Allo Messenger on PC with Chrome Browser. How to use Google Maps offline on Android. 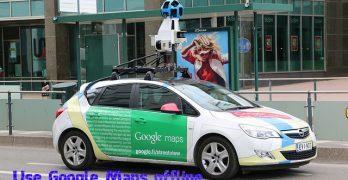 The Google Maps is a globally popular app for Android & iPhone, which provides accurate Navigation & Transit information to users in real-time when you're connected to The INTERNET and also enable Location service on your device. It means … [Read more...] about How to use Google Maps offline on Android. 3 Best Rooting apps for Android Phone in 2019. If you are searching for best rooting apps for Android Phone in 2019, it means you already know that the Phone rooting apps what can do in your phone. A good rooting app can do root your Smartphone without breaking the Android OS. There are many … [Read more...] about 3 Best Rooting apps for Android Phone in 2019. Share Unlimited Hike Stickers to WhatsApp, Facebook, and Other apps. As in my Previous post, I had explained that how you can share Hike Stickers to WhatsApp, Facebook and with other apps. 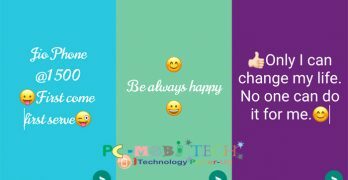 But the described process allows you to Send only 5 stickers per day and also every sticker contains the Hike Messenger credit … [Read more...] about Share Unlimited Hike Stickers to WhatsApp, Facebook, and Other apps. How to Find which one friend is stopped using WhatsApp? If one your friend was using WhatsApp till now and now stopped using and uninstalled from their Smartphone. Then how you will know they are uninstalled and stopped using WhatsApp. 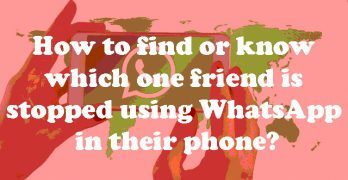 You will just send the Messages and other stuff but no bluetick or … [Read more...] about How to Find which one friend is stopped using WhatsApp?